Samsung Galaxy S8 will be released next month so it’s not unexpected to have some units already assembled and working. 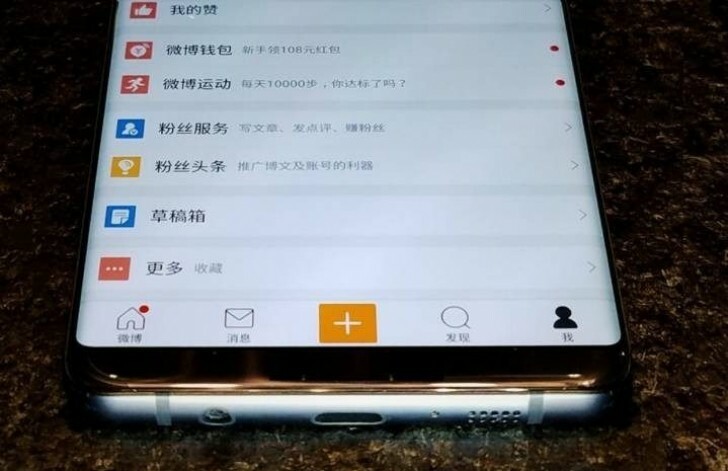 With a healthy dose of suspicion we present you the first alleged image of a powered-on Samsung Galaxy S8, running the Weibo app. UPDATE: This is not an image of Samsung Galaxy S8. Our source retracted the initial info. This is just another photoshopped version. We'll keep you updated when more plausible images surface. It was first leaked on the Chinese social network. On the picture we see a dual-curved screen that stretches edge to edge and no physical button below it. The 3.5-mm audio jack, USB Type-C and a sound grill on the bottom of the phone are also there to see. We already saw alleged images of powered-on devices but they appeared to be photoshopped so take this image with grain of salt too. Samsung Galaxy S8 is expected to be announced in late March and launched in mid-April.